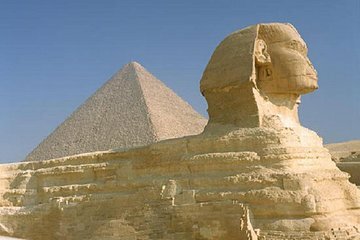 Spend two days exploring Giza and Sakkara on this comprehensive tour with an Egyptologist guide. Listening to in-depth commentary will help you get the most out of your visit; you'll learn about the ancient Egyptian civilization as you walk around. On the second day, visit the Egyptian Museum to see ancient artifacts, then head for the narrow lanes of Khan El Kahlili for some shopping.